Nobody ever wants to go up to the attic. It’s either blazing hot or freezing cold and usually there are cobwebs when you least expect it because you can’t see anything very well with the dingy one bare bulb hanging 20 feet away. Not any more. 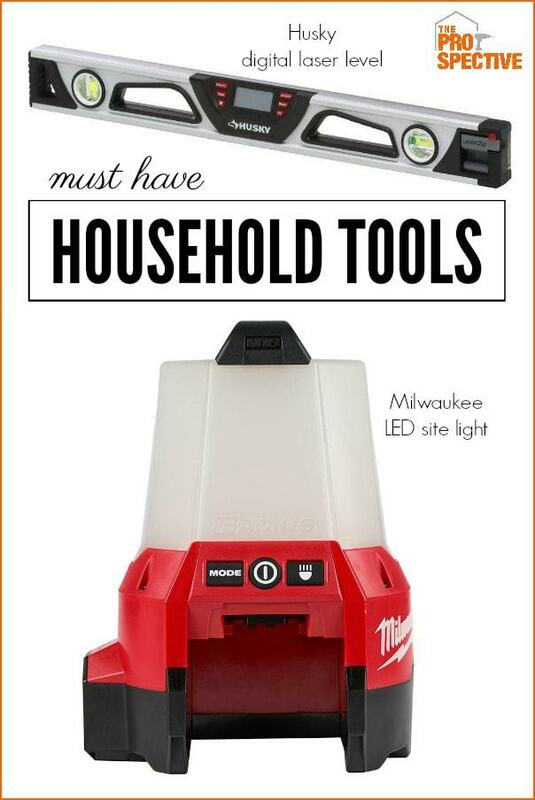 Pop up this Milwaukee compact site light with flood mode for area lighting and you’re staying up there all afternoon – cleaning, purging and sorting through all the stuff you think you had to save. 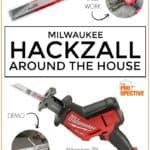 See these two must have household tools that go beyond basic DIY projects. 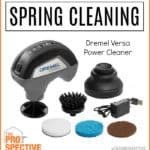 You’ll be using these tools all over your home, definitely worth a look. 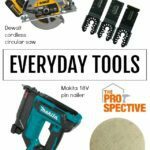 Today we’re talking must have household tools with endless capabilities that stretch above and beyond the typical DIY projects. 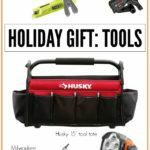 The Milwaukee site light and Husky digital laser level are two household tools you definitely should consider. 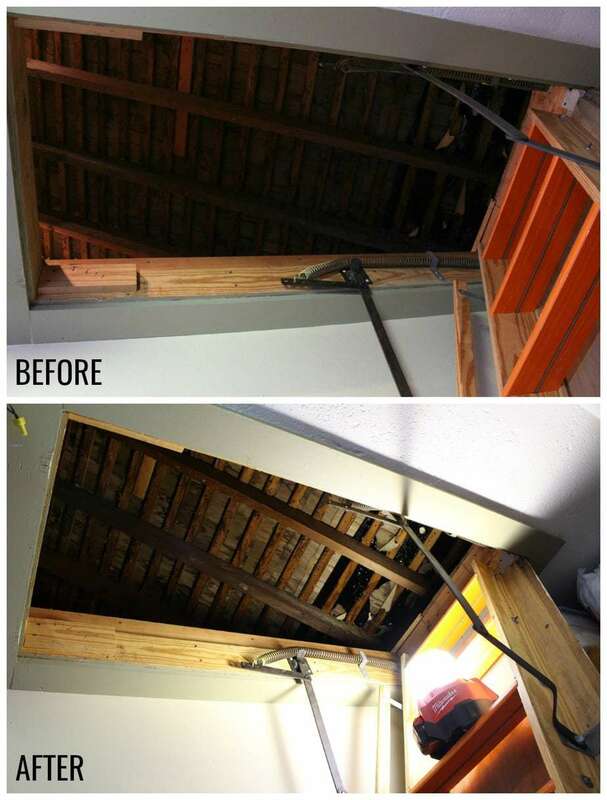 Just look how inviting my attic space is after adding the Milwaukee LED site light! With 2,200-Lumen of output in area mode for illuminating large work areas my entire attic is bright and illuminated. Same goes for on the job work especially in dark, dingy spaces. 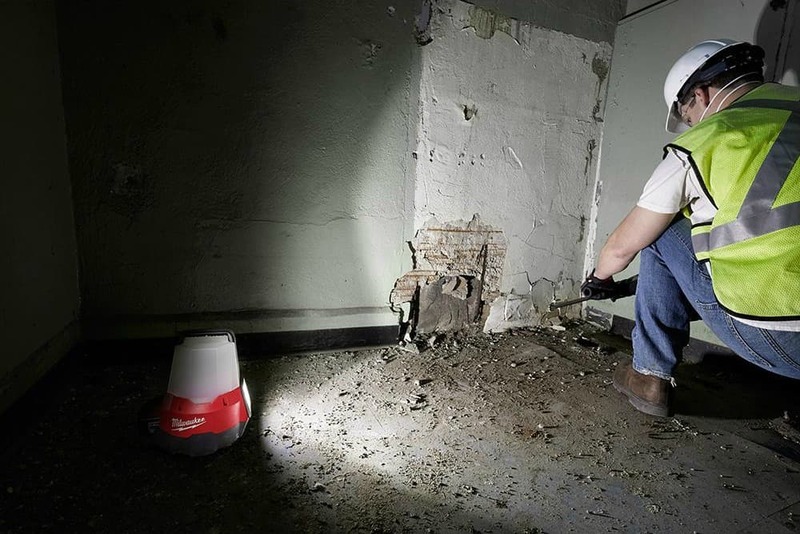 Lighting is critical to getting the job done and this battery operated compact site light with flood mode is equipped with a high impact polycarbonate lens to withstand harsh jobsite abuse. Its high quality LEDs never need to be replaced and are backed by a limited lifetime warranty. 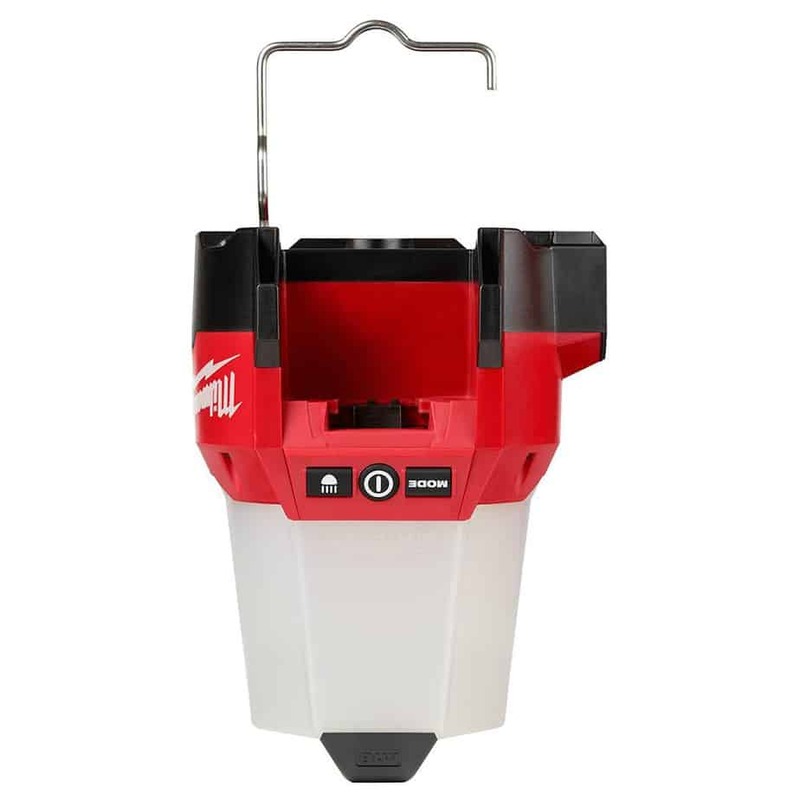 This site light offers up to 18 hours of run time with an M18 XC 5.0 battery and has the option to be plugged in using its AC inlet for extended run time. You can alter the mode by simply depressing a button: high mode runs on 2200-Lumen for up to 4-hours with M18 XC 5.0 battery, medium mode uses 1100-Lumen for up to 8-hours with M18 XC 5.0 battery, and low mode uses 550-Lumen for up to 16-hours with M18 XC 5.0 battery. Need overhead light? 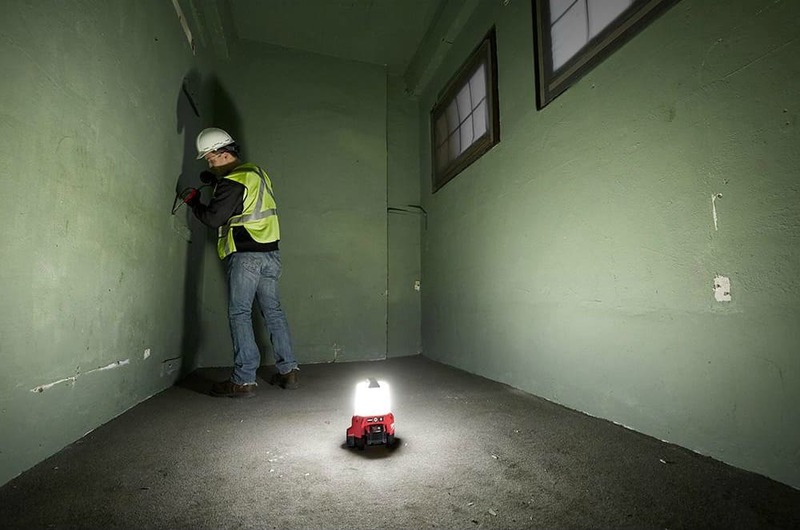 No problem, its compact size allows users to take the site light on and off the jobsite effortlessly and its 4-1/4 in. metal hanging hook allow users to hang the light from above for overhead lighting situations. 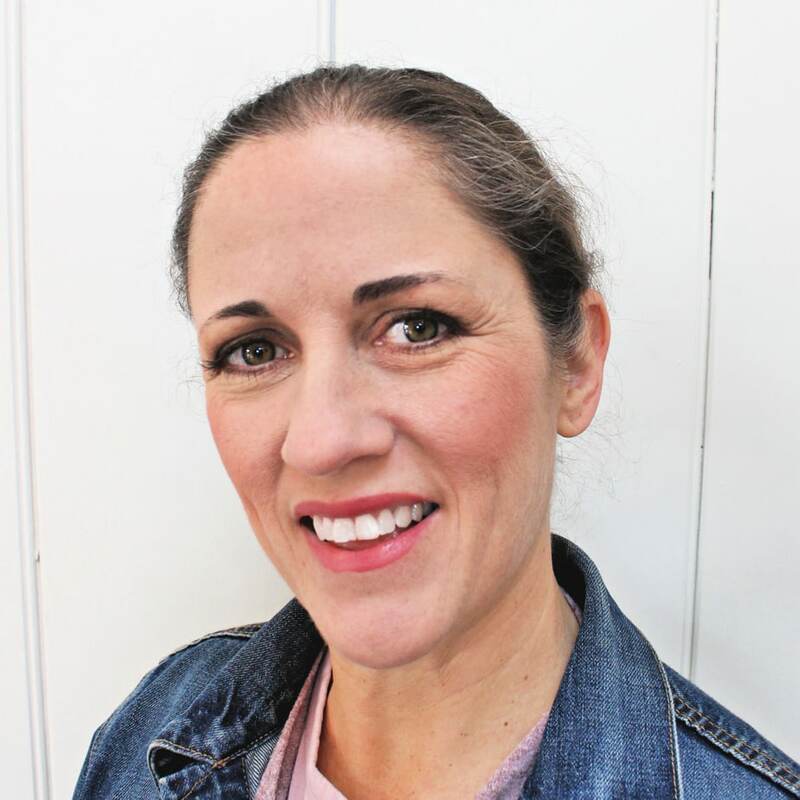 Task lighting? 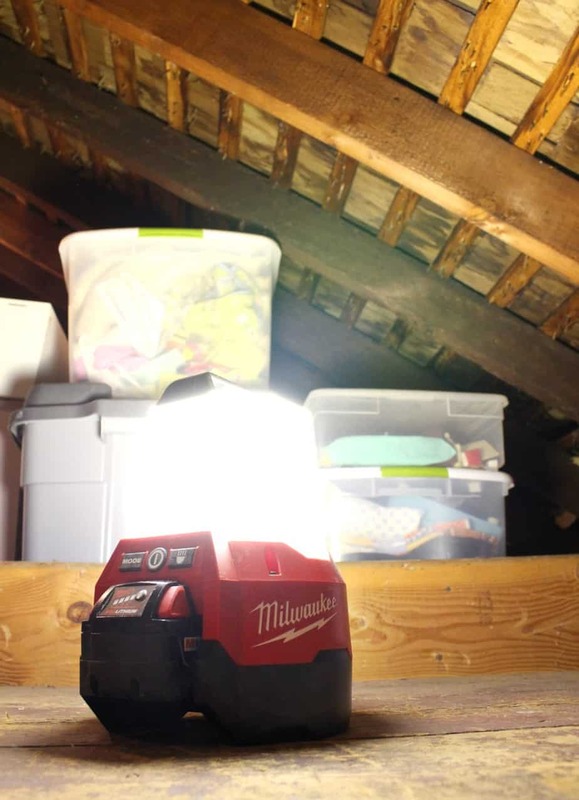 Of course, the Milwaukee M18 RADIUS compact site light uses 1000-Lumen of flood lighting for task situations, there is no application this light can’t handle. 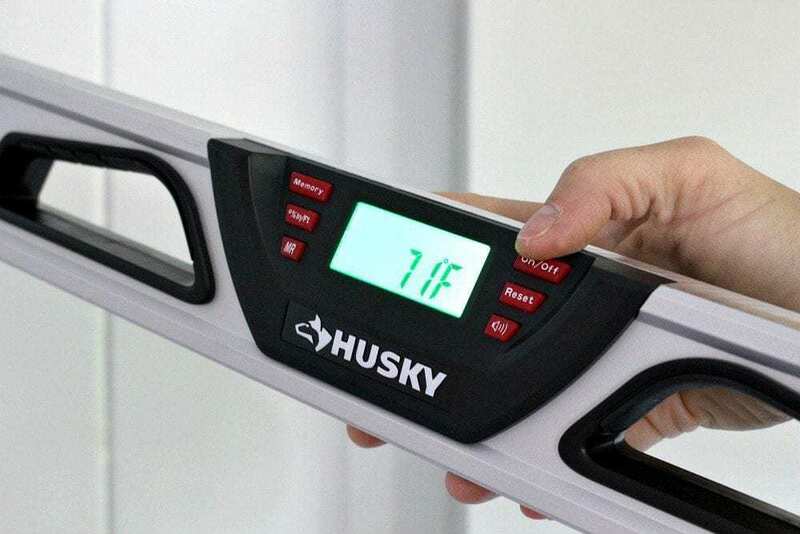 On to the second must have household tool – the 24″ Husky line generator digital laser level. 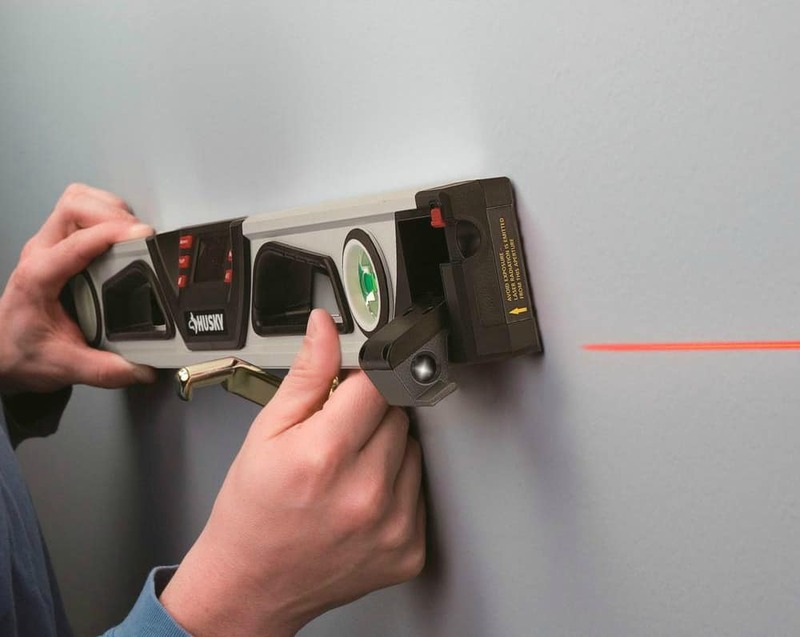 Every homeowner needs a level for the most basic of tasks, hanging a picture, to more difficult construction situations, I guarantee you will require a level. 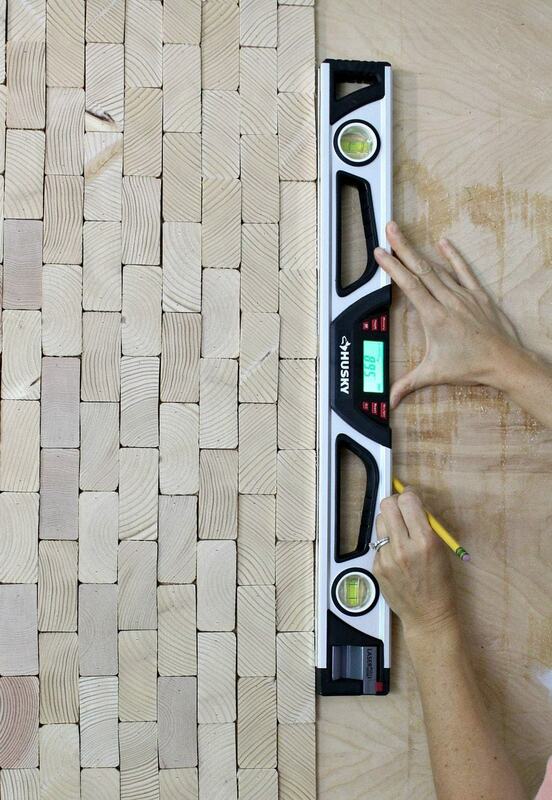 I’m working on a scrap 2×4 wood wall installation and this level has been vital to the success of lining up all those small pieces! 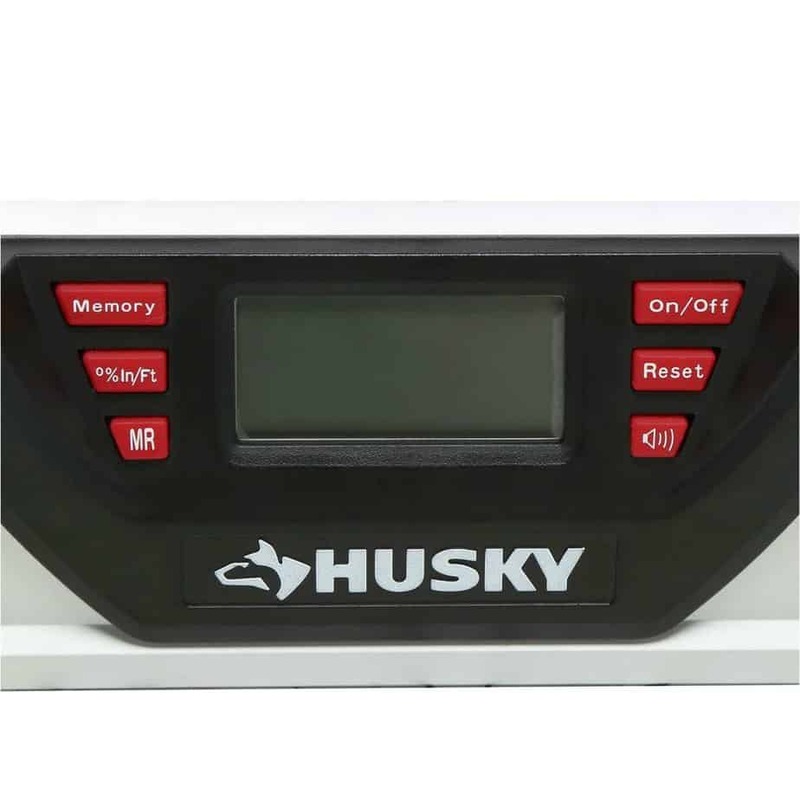 The Husky 24″ line generator digital laser level features a laser diode located in the drop-down laser head at the right of the level that can project a reference line (up to 25′ long) along a wall. 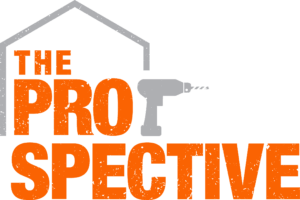 This level can be used indoors or out for horizontal (level), vertical (plumb) and square alignment projects. The digital display is easy to read and has a 9-angle memory storage for convenient recall. It even displays the room temperature when you push the on/off button, so smart! 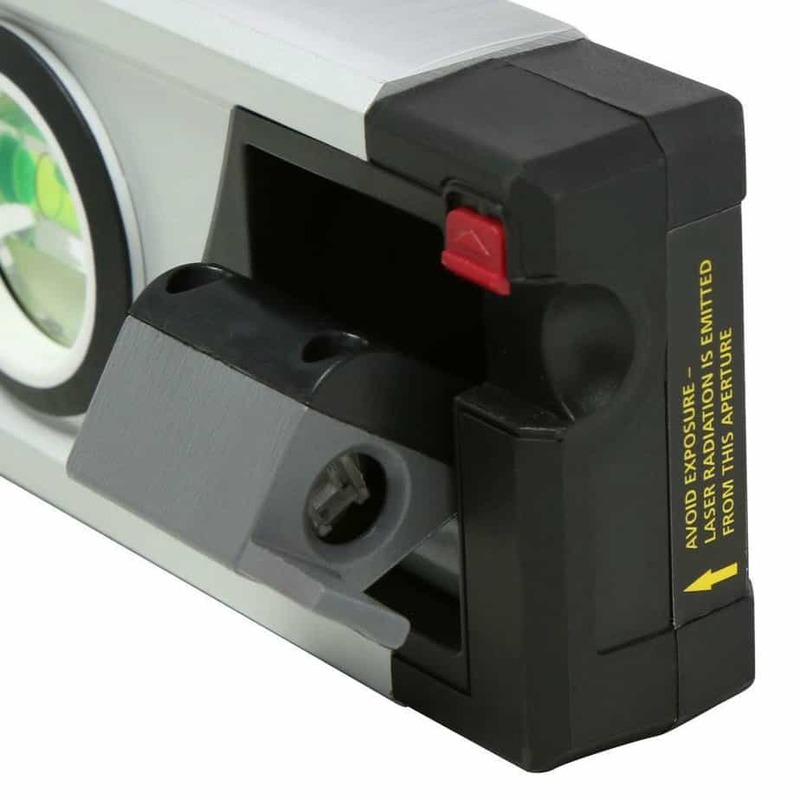 The laser line generator on the right corner aligns with objects at any angle within a .2 degree accuracy. 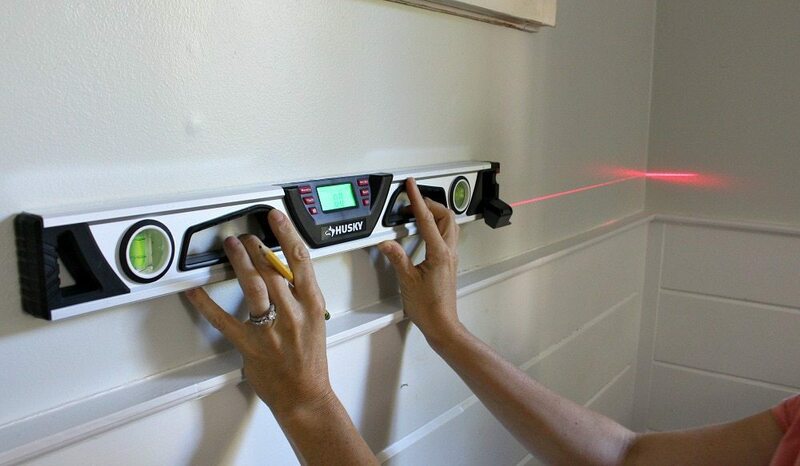 You can see how the laser would be extremely helpful when installing moulding or any wall treatment. 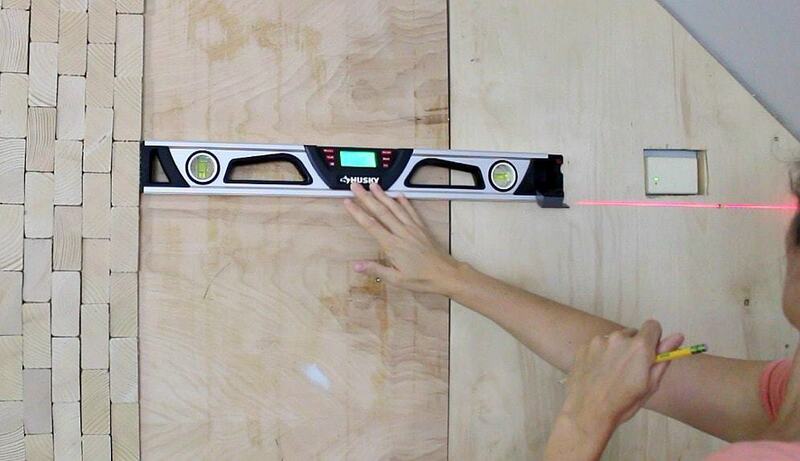 And it’s great for checking of floors, walls and ceilings during construction.